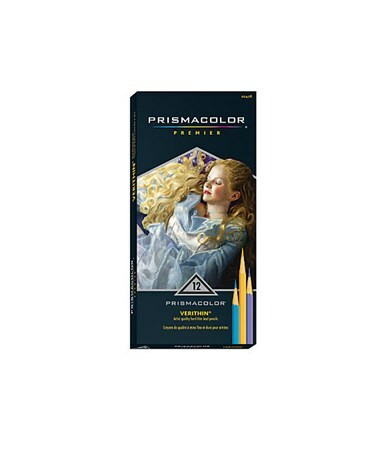 The Prismacolor Premier Verithin Colored Pencil Set is an ideal tool for sketching intricate details and defined lines. 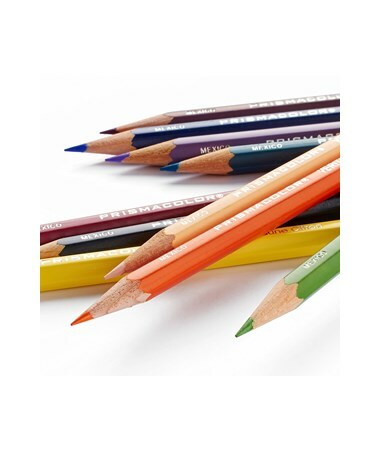 It features a hardened thin lead that allows sharpening to an ultra fine point without crumbling. 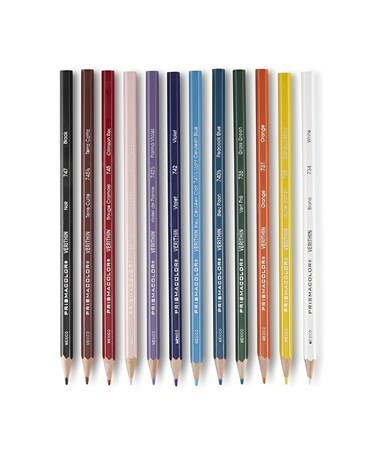 Excellent for lettering, outlining, and even making accounting ledger entries, it has smooth laydown for clean, precise, and long-lasting marks. 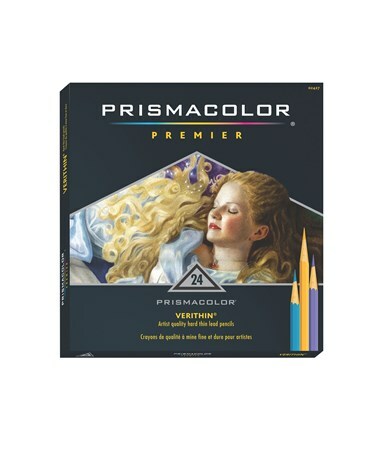 This colored pencil comes with a high-quality and richly saturated pigment. It resists smearing even when wet. 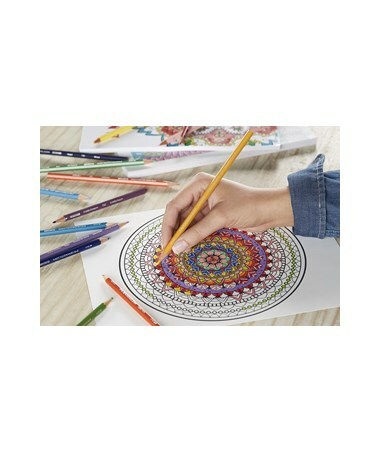 With up to 36 color variations, it provides the perfect shade and tone for every drawing and coloring needs. 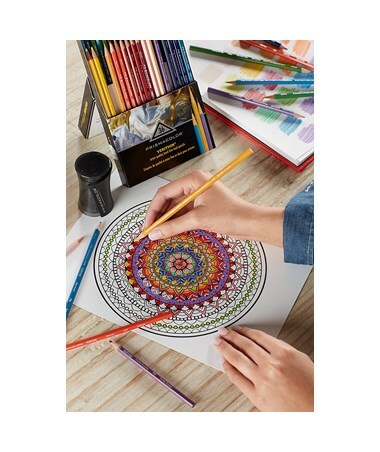 The Prismacolor Premier Verithin Colored Pencil Set offers three different packages that includes various pencils with assorted colors. 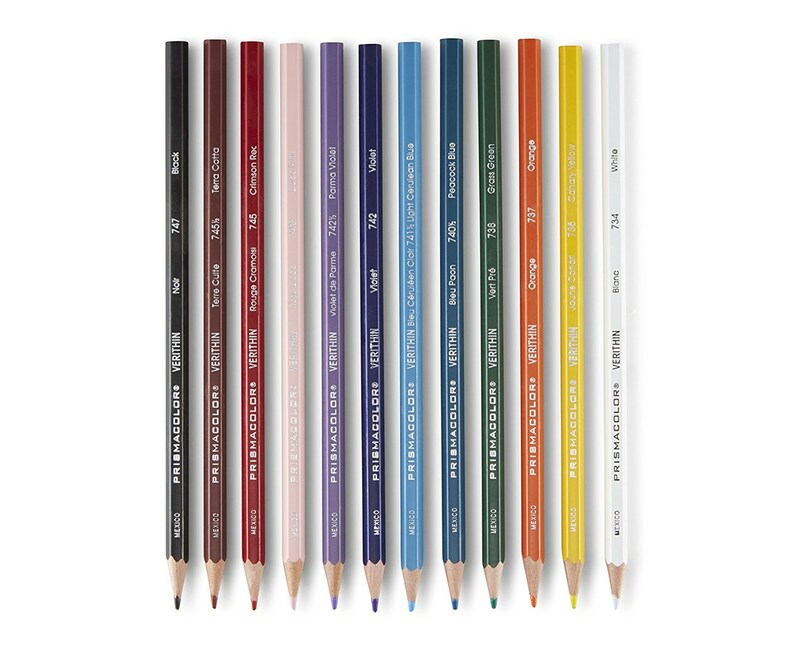 Choose from 12-color, 24-color, and 36-color sets to suit any creative pursuit. 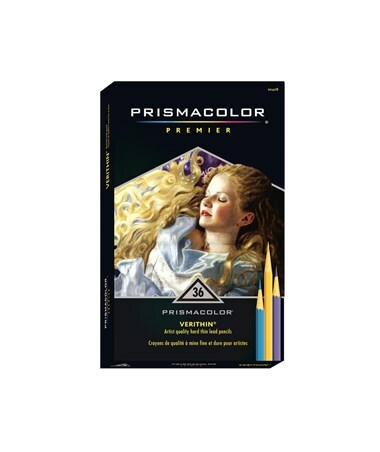 The Prismacolor Premier Verithin Colored Pencil Set comes in three different packages. Please select your preference from the drop-down menu above. Note: Colors subject to change.